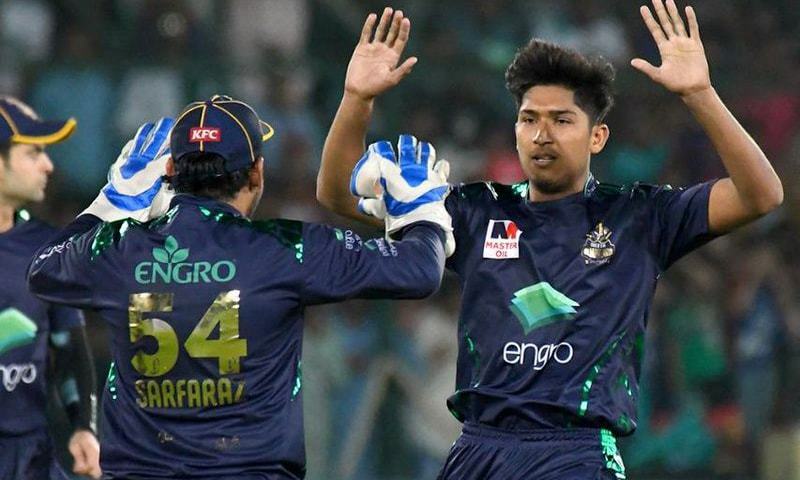 Karachi Kings were given a considerably tough time by Quetta Gladiators before they managed to come out on top by one run in the PSL 2019 clash between the two sides at the National Stadium in Karachi on Sunday. 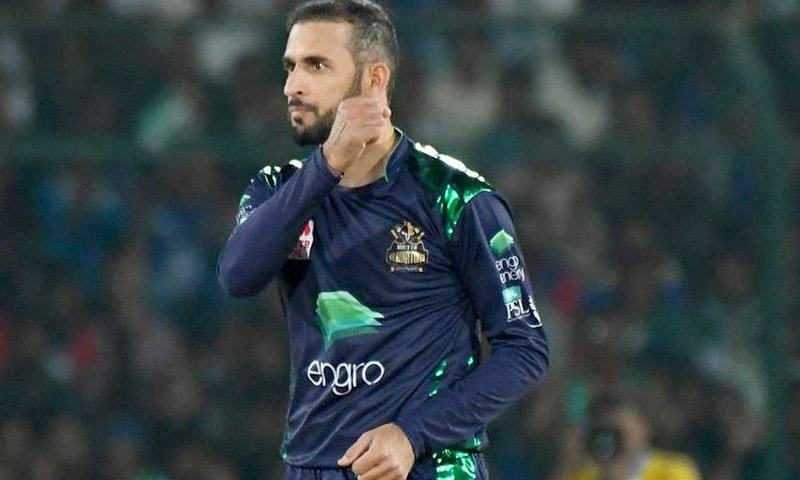 The Kings had set a target of 191 runs for the Quetta Gladiators to chase and a point in the game came when it seemed like the Gladiators will chase it down successfully. Ahmed Shehzad completely dominated the pitch, smashing boundaries in all directions. He was tragically robbed of his century, as he got out a single run shy of a 100 on Usman Shinwari's delivery when Ingram made a breathtaking dive to catch the ball. At the end of 18 overs, the Gladiators had looked like they had a real shot at victory with seven wickets in hand and only 24 runs away from the total. With the last over remaining, they required five runs off six balls. The over saw significant drama as three wickets fell courtesy Usman Shinwari. He nearly scored a hat trick. At the end of it all, Karachi Kings ripped victory from the jaws of defeat, winning by one run. 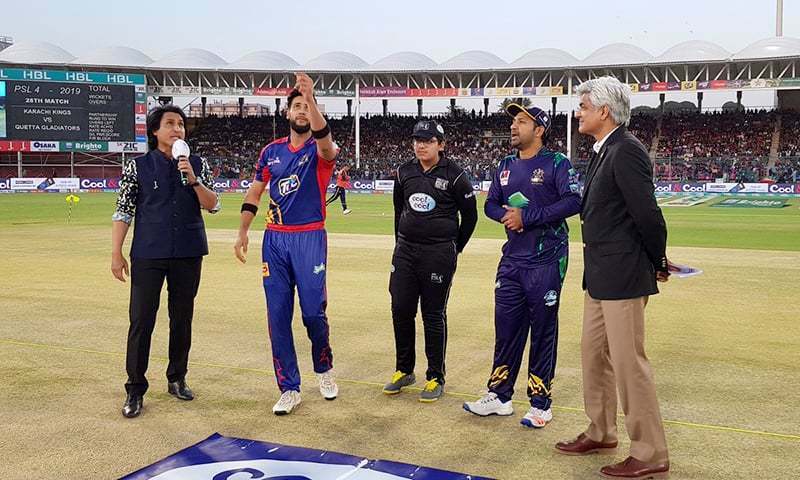 The Gladiators won the toss and opted to bowl first against the Kings who were eyeing a place in the play-offs of the 2019 Pakistan Super League (PSL). The Kings had been cruising towards a sizable total with the opening partnership of Babar Azam and Munro putting up 69 runs. The tables turned in the 9th over when Munro went down for 30 and then in the 12th over when Livingstone was out for 5 runs. The 15th over then saw the fall of first Ingram at 14.2 overs and then Babar Azam at the end of the over. 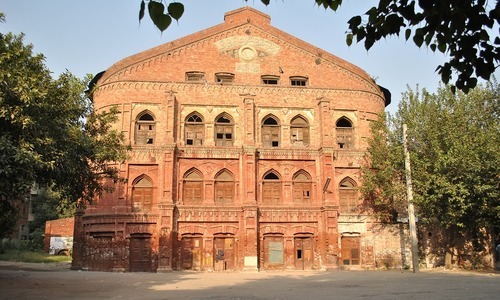 The fifth and final wicket to go down for the side was Dunk's who was out in the first ball of the 19th over courtesy Sohail Tanvir's delivery. It was then up to Iftikhar Ahmed to rescue the side who managed beautifully and ended up scoring 44 runs with 5 fours and 2 sixes in the mix off just 18 balls. 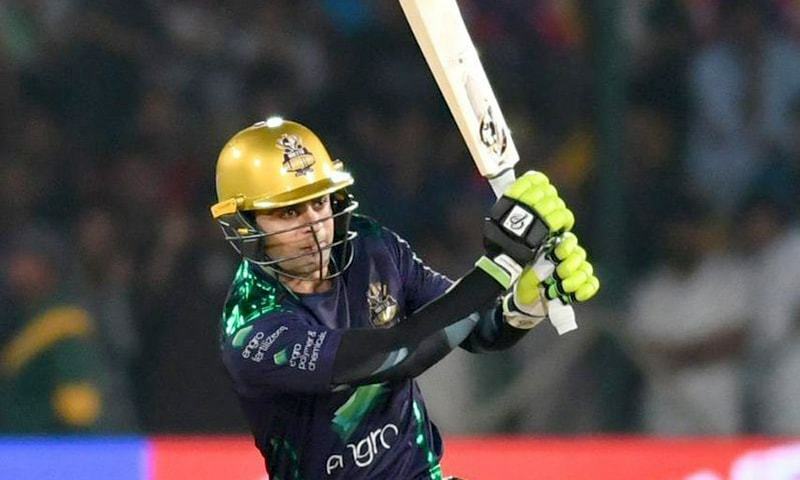 Babar Azam remained the top scorer with 56 runs off 46 balls, while the top wicket taker from the Gladiators' side was Mohammad Hasnain who took the crucial wickets of Azam and Ingram. The opening batsmen, Shane Watson, and Ahmed Shehzad made quick work of the target to chase, putting up a total of 68 runs before Watson fell in the 7th over for 20 runs on Umer Khan's delivery. Ahmed Shehzad was joined by Roussow who too made an early exit for 10 runs at 8.4 overs, courtesy Umer Khan again. Umer Akmal came in and helped add a further 27 runs to the scoreboard, while Shehzad continued to carry the bulk of the load. Shehzad reached his half century in style with a six off just 35 deliveries. After Umar Akmal's departure at 14.1 overs, when the side stood at 130/3, victory for the Gladiators started to seem a little uncertain. DJ Bravo and Anwar Ali, the subsequent two players to stand in, put up disappointing performances, scoring nine and two respectively. What made matters worse was when the skipper, Sarfaraz Ahmed got out for a duck courtesy Usman Shinwari. However, the contest could have gone either way with the difference of required runs and remaining balls shrinking in magnitude with every hardhitting strike by powerhouse Shehzad. 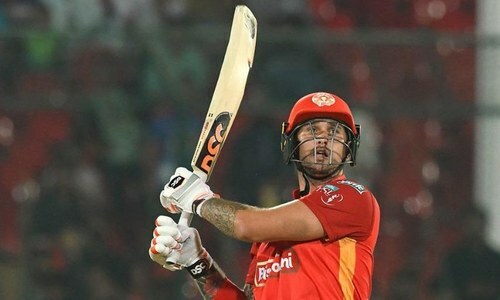 It can safely be said it was Shinwari, who ended up being crowned man of the match, who turned the tide in Karachi's favour with three crucial wickets of Ahmed Shehzad, Anwar Ali and Sarfaraz Ahmed in the last over. The Kings' Umer Khan also took three wickets - Watson, Rossouw and Akmal. The Gladiators, who are currently at the top of the points table, have already secured a spot in the play-off. It is Quetta Gladiators (The real Karachi team) Vs ARY Kings (The so called Karachi team). All the best to Sarfraz Ahmed's Quetta Gladiators. @Sab Se Pehle Pakistan, how small minded. Its just sports. There are players from other countries playing in these teams too you know. Seriously people should to grow up. @Misbah, yes, he is way beyond it. @Misbah, what standards. Its not test cricket. @Samay, what is IPL? Never heard of it. What a game!!! Fans were terrific. Amad Shehzazd those flicks for a couple of sixes were unbelievable, reminded me of the way Inzamam ul Haq played in his 20s. If only you and your team (including Sarfraz) played with a little bit of sense in the last over the game was yours. Well played Karachi Kings!! I still think Emad Wasim should be the captain for the Australian ODi series and NOT Shoaib Malik. 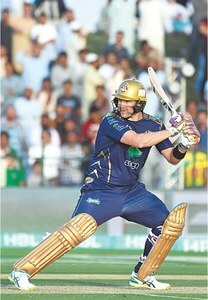 @Samay, if he plays in ipl kick him out of psl. Quetta should have played Ahsan Ali. Ahmed Shehzad's refusal to take 2 runs when Anwar Ali was with him, cost Shehzad his century and Gladiators their game. Gladiators if it was a fix; then be ready to be booted out by KK!